Just got the it has shipped email, so I have something that looks similar to this on its way even as we speak. It's a Ralf Aust 7/8 full hollow with horn scales and engraved spine. That's a beauty! Love the spine engraving. Roughly translated, it reads: "man who use me in for real treat"
(05-03-2016, 07:02 PM)Optometrist Wrote: That's a beauty! Love the spine engraving. Roughly translated, it reads: "man who use me in for real treat"
That's great. I'm so glad that's what it says. I was afraid it said, "After use Dial 911"
Gorgeous straight, @"Uzi" . Congrats! 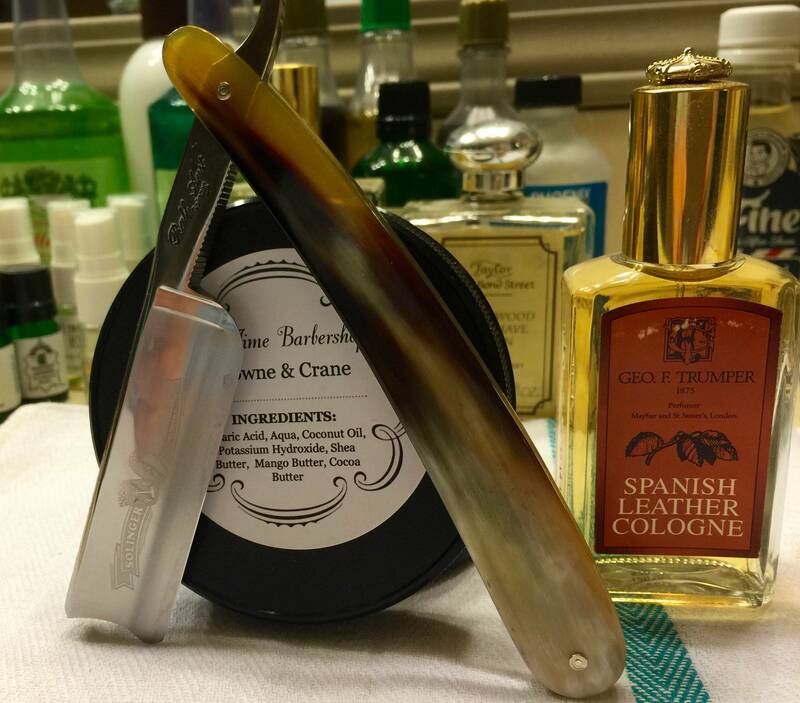 When your arrives, you'll have to post some pictures and the first SOTD!! As an update on this razor. I've had probably a baker's dozen shaves with this razor now and I've got to say, this is a wonderful, wonderful razor. 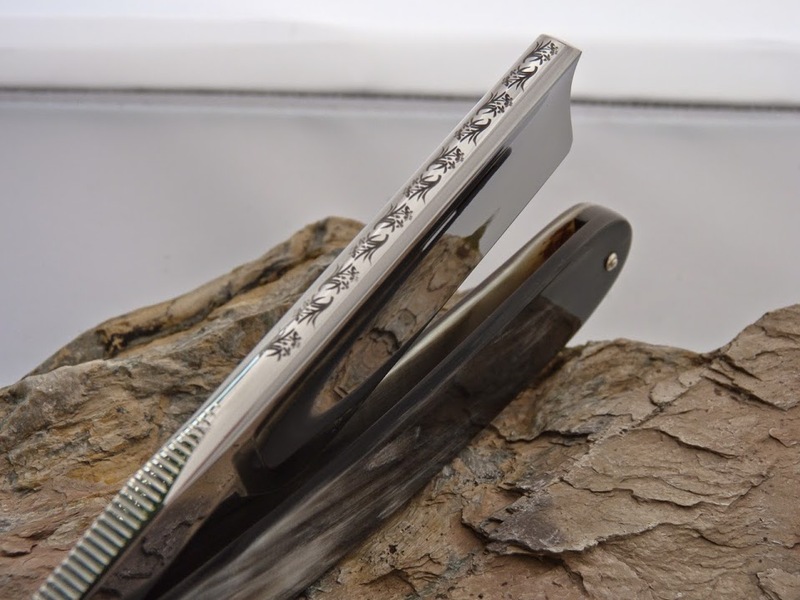 Nothing else I have comes close to the ease of shaving with this phenomenal blade. (06-04-2016, 06:41 PM)Uzi Wrote: As an update on this razor. I've had probably a baker's dozen shaves with this razor now and I've got to say, this is a wonderful, wonderful razor. Nothing else I have comes close to the ease of shaving with this phenomenal blade. And more pics of that beautiful razor, please, Uzi. Freddy, here's all I have right now. iPhone. I don't have a light box built yet. Perhaps I should get that done. @Uzi, that is just stunning. I might add that you do more with a phone camera than many people do with a fancy setup. That is a great photograph.